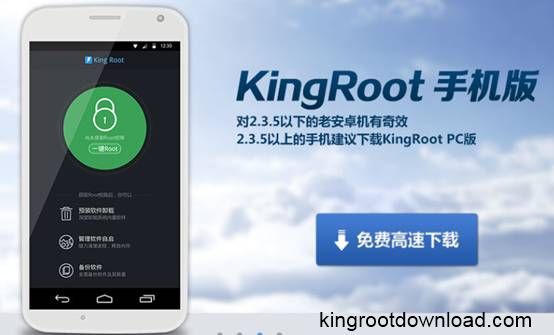 Description: KingRoot is compatible with Android Froyo 2.2.x to latest android 5.0 version. We expect a recent update for other Android OSs as well from kingroot download.Our Kingroot download tutorial provides a better guidance for a successful root. Description: Mgosoft Image To PDF Converter is a quick, fast, simple and easy-to-use PDF tool that is designed to batch convert image files into PDF document.It supports quick conversion of batch most of popular image formats, e.g., TIF, TIFF, JPG, JPEG, GIF, PNG, BMP, PSD, WMF, EMF, PCX, PIC, etc into PDF documents consist of entire graphics, text and resolution without any misrepresentation in original format. Description: Mgosoft JPEG To PDF Converter is a quick, fast, simple and easy-to-use PDF tool that is designed to batch convert JPEG files into PDF document.It supports quick conversion of batch JPEG, JPEG2000 files into PDF documents consist of entire graphics, text and resolution without any misrepresentation in original format. JPEG To PDF Converter is a standalone program. So, it does not require Adobe Acrobat Reader to convert images into PDF. Description: Mgosoft PCL Converter is a fast, affordable way to batch convert PCL files formats. It directly convert PCL (pcl, pxl, px3) files to Portable Document Format (PDF) format, Microsoft XPS documents, Text document, PostScript file and dozens of image formats, such as TIFF, JPEG, PNG, BMP, PCX, GIF, WMF, EMF, TGA and so on, it retains the layout, images, text, line, ellipse, color, and formatting of the original PCL file. Description: Convert PDF files to dozens of image formats, such as TIFF, JPEG, PNG, BMP, PCX, GIF, WMF, EMF, TGA and so on, it retains the layout, images, text, line, ellipse, color, and formatting of the original PDF file. And Convert most of popular image formats, e.g., TIF, TIFF, JPG, JPEG, GIF, PNG, BMP, PSD, WMF, EMF, PCX, PIC, etc into PDF documents consist of entire graphics, text and resolution without any misrepresentation in original format. Description: Mgosoft PDF Text Converter is a fast, affordable way to batch extracting text from PDF file to plain text files, and also provides the conversion of plain text files to Adobe PDF files. It converts old txt, text, textual report to nice PDF file (form, invoice, report, sale sheet) on all Windows Systems. This tool is indeed helpful for creating full-text searchable archive database. This tool is independent of any PDF reader software. Description: Mgosoft PS Converter is a fast, affordable way to batch convert PostScript (PS) files formats. It directly convert PS files to Portable Document Format (PDF) format, Text document and dozens of image formats, such as TIFF, JPEG, PNG, BMP, PCX, GIF, WMF, EMF, TGA and so on, it retains the layout, images, text, line, ellipse, color, and formatting of the original PS file. Description: Mgosoft TIFF To PDF Converter is a quick, fast, simple and easy-to-use PDF tool that is designed to batch convert TIFF files into PDF document.It supports quick conversion of batch TIFF files into PDF documents consist of entire graphics, text and resolution without any misrepresentation in original format. TIFF To PDF Converter is a standalone program. So, it does not require Adobe Acrobat Reader to convert images into PDF. Description: PDF To TIFF Converter is a perfect convert tool for PDF documents, which can helps you convert PDF documents to TIFF (Tagged Image File Format). Original document layout is fully preserved. Original PDF formatting and interrelation of text and graphical elements on each page. PDF To TIFF Converter is the fast, affordable way to convert a lot of adobe PDF files to popular image format once time for saving your time!